Should Web Giants Partner with Telcos to bring Broadband to 3rd World? Facebook along with Indian telecom giant Bharti Airtel Ltd.’s Ugandan unit and Mauritius-based Bandwidth & Cloud Services Group, has deployed nearly 500 miles of fiber-optic cable across the isolated northwest of Uganda. The project, begun in early 2017 and completed at the end of last year, has expanded the region’s network capacity, providing faster internet access to an area with some three million people, many of whom live in towns still haunted by memories of the three-decade insurgency led by Joseph Kony’s Lord’s Resistance Army. The Ugandan cable is the largest terrestrial network Facebook has helped construct in Africa and part of what the company describes as a broader push to connect the approximately 3.8 billion people who are still without internet around the world. The move comes as Facebook’s user growth slows in developed markets like the U.S. and Europe. The social media giant’s presence on the continent remains small compared with other regions, but the Menlo Park, Calif.–based company said its strategy to get more people onto a faster and more robust internet will plug more of sub-Saharan Africa into the global economy. Indeed, the summer of 2018 brought different fortunes to attempts by Facebook and Google to offer broadband services using high-flying drones and balloons (atmospheric satellites) to the unserved in remote rural areas. GlobalData, a data and analytics company, feels that webscale giants need to partner with telcos globally to address the affordability challenge of reaching out to the unconnected in rural markets with atmospheric satellites. Atmospheric satellites fit in the space between true satellites commonly used for communications and ground-based networks. Their theoretical advantage over satellites is much lower cost. Launching a balloon or a drone and equipping it with a radio base station represents a much cheaper way of covering large swaths of land. Considering one-third of the world population remains unconnected, the lower costs associated with balloon- or drone-based coverage is compelling. However in June 2018, following several setbacks over a period of four years, Facebook abandoned developing its own high-flying solar-powered drones (Aquila project) for delivering Internet. However, the California-based social media giant said that it will focus on working with partners like Airbus on high altitude platform station (HAPS) system, which is capable of beaming down high-speed Internet to the unserved in 3rd world countries. 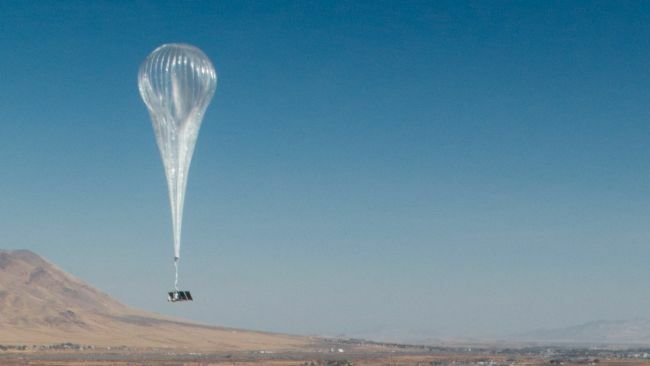 On the other hand Alphabet, the parent company of Google, turned its Loon balloon project into an independent company and announced its first commercial project with partly-state owned Telkom Kenya in July 2018. The partners plan to launch balloon-based 4G/LTE services commercially to parts of central Kenya, starting from 2019. Google used Project Loon in Puerto Rico last year after two hurricanes destroyed much of the telecom infrastructure on the island. Project Loon’s pilot deployment with Telkom Kenya may provide the clearest test of whether atmospheric satellites can really work. This puts pressure on Loon to demonstrate it has a viable technology. Truly addressing this group would require the participation of multiple operators in dozens of countries. Moreover, most of the unconnected usually do not live outside areas where they can get mobile service; they just cannot afford a mobile plan. Drones and balloons do little to address the ’affordability’ challenge. Critics say Facebook’s ventures into less-developed markets could undermine net neutrality by channeling traffic to its own platform and away from competitors. An earlier effort by Facebook to expand internet access in the developing world faltered in 2016, when India’s telecommunications regulator effectively banned the company from offering free access to a low-data version of Facebook and selected websites and apps. Governments across Africa—including in Uganda—are rolling back internet freedoms and cracking down on social media. Facebook, which declined to comment on the cost of the Ugandan cable, says its Africa strategy is a long-term effort. Analysts say the lack of connectivity on the continent is a central impediment to increasing economic growth: Removing barriers to commerce and trade should create more opportunities for consumers to spend. Dexter Thillien, a London-based analyst with Fitch Solutions, said Facebook, conscious of the risks, is still testing the waters in Africa. “It’s where they can make the least money, at least right now,” he said. The word “Africa” appears just once in Facebook’s 2017 annual report, to inform readers that the continent is included, along with the Middle East and Latin America, under its “Rest of World” designation. Since the fiber rollout, Airtel Uganda has installed 33 new telecom towers in northern Uganda, while 71 towers have been upgraded to 3G and another 43 towers now beam 4G, which improves users’ ability to download and stream quickly, the company said. Previously, most places in the region had 2G or no service at all—a far cry from developed economies, which are racing to roll out 5G networks. More than half of Africa’s mobile broadband connections remain 2G (which AT&T has discontinued in the U.S.). Microsoft’s Airband TV White Spaces initiative is a project that plans to bring broadband to 2 million rural Americans by 2022, beginning in Michigan and Wisconsin. Microsoft is partnering with Packerland Broadband (a division of CCI Systems). The companies are aiming for speeds of 25 Mbps downstream and 3 Mbps upstream for a fixed wireless deployment in rural Michigan and Wisconsin that will use TV white spaces and other technologies, said Cory Heigl, vice president for Packerland Broadband. The technology is “maturing pretty rapidly” and the companies hope manufacturers will support 25/3 Mbps speeds by year-end, Heigl said in a phone interview with Telecompetitor. Packerland will use a mix of technologies to provide broadband to its customers in rural communities, including TV White Spaces and Wi-Fi hardware developed with support from Microsoft, to extend the reach of its existing hybrid fiber-coax and wireless delivery platforms. TV white spaces technology uses vacant TV broadcast spectrum and has excellent propagation, making it well suited to serve locations lacking a clear line of sight to the base station. Packerland expects to cover approximately 33,750 people by the end of 2019, and approximately 82,000 people by 2022. As part of the Packerland-Microsoft project, Packerland will provide Windows devices, Office 365 and other cloud-based services to small businesses, consumers and students, as well as digital literacy skills training. Packerland will also leverage Microsoft Azure as part of its operations management. When Microsoft announced Airband plans in July 2017, the company said TV white spaces will be the best approach to reaching communities with population densities between two and 200 people per square mile, while areas with lower population densities would be best served by satellite and those in areas with more than 200 people per square mile would be best served with fiber-to-the-home. Soon after Microsoft announced their initiative in July, AT&T and NetComm Wireless announced a plan to bring fixed-wireless broadband to 18 states. Around 34 million Americans, including 19.4 million people living in rural parts of the US, don’t have adequate broadband, according to the release. About 43% of rural Wisconsin and 34% of rural Michigan lack proper internet access and thus miss out on the benefits it can offer, Microsoft said. “Northern Wisconsin is nothing but forest,” making it challenging to use other wireless technologies, observed Heigl. Distances covered are expected to range from about one to four miles, Heigl added. The Microsoft – Packerland service, which will also tap other fixed wireless and wired technologies, is targeted to be available to 33,750 people by the end of 2019 and approximately 82,000 people by 2022. This deployment is one of 12 projects planned as part of the Microsoft Airband TV White spaces initiative, which aims to bring broadband to 2 million people in rural America by 2022. Seven pioneering start-up companies were recognized by the Service Provider Innovation Forum (SPIF) at the 10th Annual SPIFFY Awards held Wednesday evening November 1st at TC3 Summit. Since 2001, the Telecom Council has worked to identify and recognize companies who represent a broad range of cutting-edge telecom products and services. From there, dozens of young companies are presented each month to the Service Provider Innovation Forum (SPIF), ComTech Forum, IoT Forum, and Investor Forum. SPIF members, who represent cutting-edge telcos from over 50 countries and who serve over 3B subscribers, selected seven companies from hundreds of presenting communication startup companies and 30 SPIFFY nominees as best-in-class in their respective categories. Each winner, who is set apart for their dedication, technical vision, and interest from the global service provider community, is a company to watch in the telecommunication industry. The Graham Bell Award for Best Communication Solutions – Sightcall : a cloud API that enables any business to add rich communications (e.g. video), accessible with a single touch, in the context of their application. Edison Award for Most Innovative Startup – DataRPM: cognitive preventive maintenance platform. San Andreas Award for Most Disruptive Technology – Veniam: networking solution for future autonomous vehicles; mobile WiFi done right. Zephyr Award for Best Mobile Opportunity – AtheerAir: augmented reality solutions for industrial enterprises. Ground Breaker Award for Engineering Excellence – Cinova: virtual reality streaming at practical bit rates using Cinova’s cloud server technology. Prodigy Award for the Most Successful SPIF Alumni – Plex: streaming media server and apps to stream video, audio and photo collections on any device. This year’s entrepreneurs had a chance to vote on the operators as well, to give a shout out to those telcos who were supportive, approachable, and helpful to young and growing telecom companies. The entreprenneurs chose Verizon. Fred & Ginger Award for the Most Supportive Carrier – Verizon. The SPIFFY nominees attended the awards ceremony along with 50 global fixed and wireless communications companies and over 300 industry professionals. Photos of the event can be found on Telecom Council’s blog and Instagram pages. Note that none of this year’s SPIFFY award winners, with the possible exception of Veniam, actually provide a connectivity (PHY, MAC/Data Link layer) solution. About the Telecom Council: The Telecom Council of Silicon Valley connects the companies who are building communication networks, with the people and ideas that are creating them – by putting those companies, research, ideas, capital and human expertise from across the globe together in the same room. Last year, The Telecom Council connected over 2,000 executives from 750 telecom companies and 60 fixed and wireless carriers across 40 meeting topics. By joining, speaking, sponsoring, or simply participating in a meeting, there are many ways telecom companies of any size can leverage the Telecom Council network. For more information visit: https://www.telecomcouncil.com. A follow up TC3 blog post will provide an update on project CORD (Central Office Re-architected as a Data Center) from the perspective of the Open Network Foundation (ONF) with panelists from AT&T and Verizon. NOTE: This article complements others we’ve recently posted on U.S. carriers move to broadband fixed wireless access for rural and under-served geographical areas. In many rural communities, where available broadband speed and capacity barely surpass old-fashioned dial-up connections, residents sacrifice not only their online pastimes but also chances at a better living. Counties without modern internet connections can’t attract new firms, and their isolation discourages the enterprises they have: ranchers who want to buy and sell cattle in online auctions or farmers who could use the internet to monitor crops. Reliance on broadband includes any business that uses high-speed data transmission, spanning banks to insurance firms to factories. Ensuring access to an open, thriving online ecosystem through modern and even-handed internet rules is critical for every American, but much more so for the 60 million rural Americans who rely on the internet to connect them to a rapidly evolving global economy. Studies show that as rural communities adopt and use broadband services, incomes go up and unemployment falls. Broadband providers support protections that ensure consumers and innovators alike don’t have to worry about blocked websites or throttled service. Rural areas need more investment, not less. And modern Open Internet rules will encourage this needed progress. Fast Internet service, according to the FCC, means a minimum download speed of 25 megabits per second, a measure of bandwidth known as Mbps. That speed can support email, web surfing, video streaming and graphics for more than one device at once. It is faster than old dial-up connections—typically, less than 1 Mbps—but slower than the 100 Mbps service common in cities. In announcing the “Restoring Internet Freedom” rulemaking, the FCC stated that “[o]ur actions today continue our critical work to promote broadband deployment to rural consumers and infrastructure investment throughout our nation, to brighten the future of innovation both within networks and at their edge, and to close the digital divide.” This past July, the Commission declared August to be “Rural Broadband Month” at the FCC. Two years following the 2015 reclassification of broadband as a common carrier telecommunications service, it’s clear that broadband investment has declined in rural America. Representatives of internet service providers (ISPs) from states like Arkansas, Washington, Kentucky, and Nebraska have all offered evidence detailing how regulatory uncertainty arising from the “Title II” decision has retarded and, in many situations, stopped investment in their regions. The formula for bringing high-speed internet connectivity to everyone in rural America is multi-faceted. It requires a combination of wired and wireless deployments, and government – through the FCC’s Universal Service programs and loans and grants from the U.S. Departments of Commerce and Agriculture – all have a role to play. But indispensable to success is the creation of a regulatory framework that incentivizes private capital to deploy broadband everywhere, including rural America. As long as the regulatory uncertainty of Title II remains, rural America to a large extent will be cut off from essential private broadband deployment funding and, as a result, fall even further behind. The discussion, as well as a fair amount of heated rhetoric, are sure to continue over the next few weeks regarding the proper classification for broadband. Meanwhile, don’t forget rural America. The best way to ensure that all corners of the country get the connectivity they need is for the FCC to restore the classification of broadband as an information service. Thereafter, Congress should enact legislation that codifies open internet rules and at long last puts to rest a debate that has raged for more than a decade.